Vampire Kingdoms delves into the world of vampires as you've never imagined them in your wildest nightmares! Entire cities of blood-sucking fiends preying on humans and D-Bees. Some treat humans like cattle to be bred, fattened and eaten/drained, others enslave and abuse humans, while still others are surprisingly civilized and love their submissive humans, like favorite pets. Then there are the savage and rogue Wild Vampires — pitiful creatures cast out of vampire society to roam the land like packs of wild animals. Plus world data focusing on New Mexico, Central America, and parts of South America. More villains, monsters, animals, adventure ideas, maps of the land and major communities, ley line locations, monsters and menaces other than vampires, new weapons, equipment and more. Vampires, their kingdoms, society, hierarchy, powers and diabolical plots. Techno-Wizard weapons for slaying vampires. 12 optional Racial Character Classes. Traveling shows, carnivals and freak show creation tables. The famous Reid's Rangers. Protectors of the people ... or are they as insane and vicious as the monsters they slay? Mayan gods, demons, Werejaguars, dragon slayers, and other monsters, villains & D-Bees. Central America mapped and detailed. Adventure ideas, villains and more. Much more. Written by Kevin Siembieda. Illustrated by Tim Truman and Kevin Long. Is there any chance of getting the Travelling Shows rule section released as a stand-alone product? 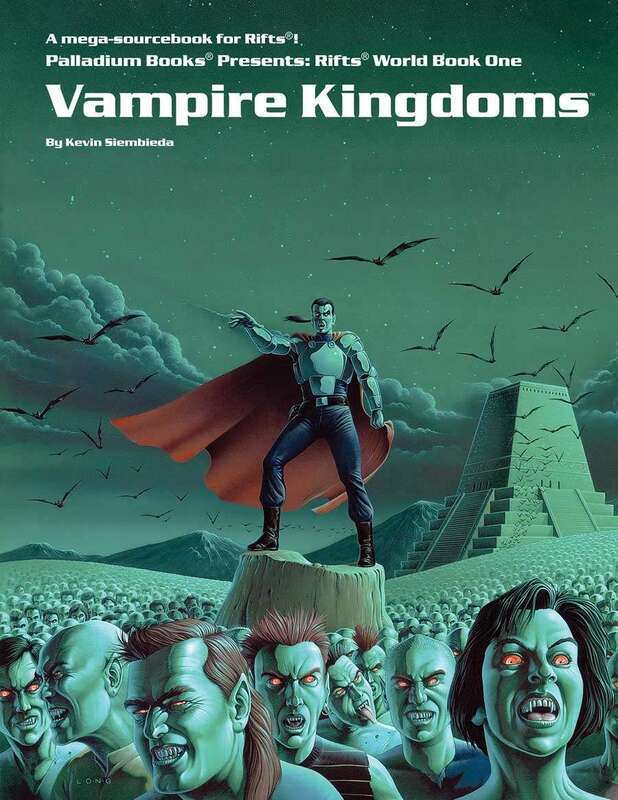 I already bought the Revised Vampire Kingdoms, and don't really want to buy this whole book just for that one section. So it does. Thanks for pointing that out.